How concerned should I be about my student debt? Student loans were touted as a hassle free way for a generation of aspiring youngsters to get a degree, but as reality bites and the size and scale of debt each student is saddled with becomes clear, we ask: how worried should indebted graduates be? Are student debts really that big? Research from YouGov has shown that British students had collective debts of nearly £20bn in 2012/13. The majority of this (around £17bn) is owed to the state-owned Student Loans Company. 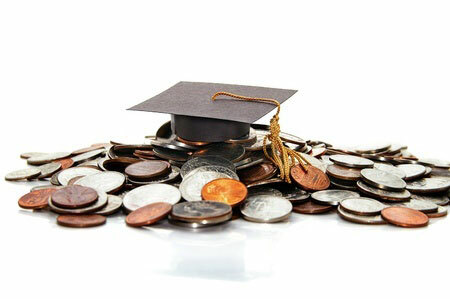 On average, the BBC estimates that students graduating in 2014 will have debts totaling £26,100 each. That's nearly half of the debt held by an average UK household. Does my student loan have interest? Yes, although unlike personal loans, they are closely pegged to inflation. A full list of interest rates running back to 1998/9 is available on the student loans repayment site, but the current rate is 1.5%. Rates are always the lowest of either the Retail Prices Index in March, or 1% above the highest base rate of a nominated group of banks. For courses starting on or after September 2012, the government say that interest rates will be pushed up once graduates start making repayments. If your total debt is between £21,000 to £41,000, the interest rate you'll pay will be the inflation rate plus between 0% and 3%. If you end up owing more than £41,000, the interest rate increases to inflation plus 3%. The true view of how much a student loan will cost depends entirely on your financial situation. Current graduates could feasibly face zero cost if they earn below £21,000 for the rest of their lives, as repayments will never be triggered. But most will see the cumulative cost of inflation added to their loan total (minus any repayments). How much impact this has will depend on how much your earnings improve, to offset the cost of inflation. You can keep track of this using our free Money Dashboard personal finance software, which automatically tags your monthly interest payments. If you started university in 1998 or later, then it won't, because your student loan doesn't have fixed payment dates. If you started in 1997 or earlier, it could impact on your credit score if you miss a repayment. The Student Loans Company will write to late payers to give them 28 days to make contact before it reaches their credit record. How do I pay them back? Once you're on a salary of over £21,000 per year, instalments of 9% of your pay above that threshold are deducted from your monthly pay cheque in a similar way to tax. So if you're self-employed, it must form part of your Self Assessment calculation. You can use the government's repayment calculator to work out exactly how much you'll repay. The best decision will depend on how affected you are by inflation, which depends largely on your savings, mortgage and personal loan rates. Make use of our intelligent personal finance software to calculate exactly where your money goes each month, and therefore whether you would be losing less money by using your savings to pay off the remainder of the loan. Although Student Loans do represent a significant debt, remember that the impact on your personal finances and the interest rates are below the cost of a standard personal loan.